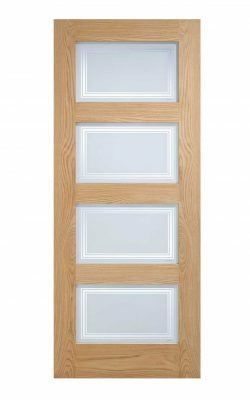 Four Shaker style panels in solid borders. 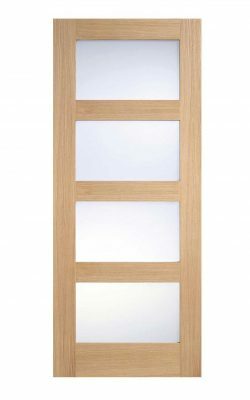 Available as a Fire Door (44mm) version and two different 4-light glazed variants, and a Bi-fold version. Oak Contemporary 4P Pre-Finished. 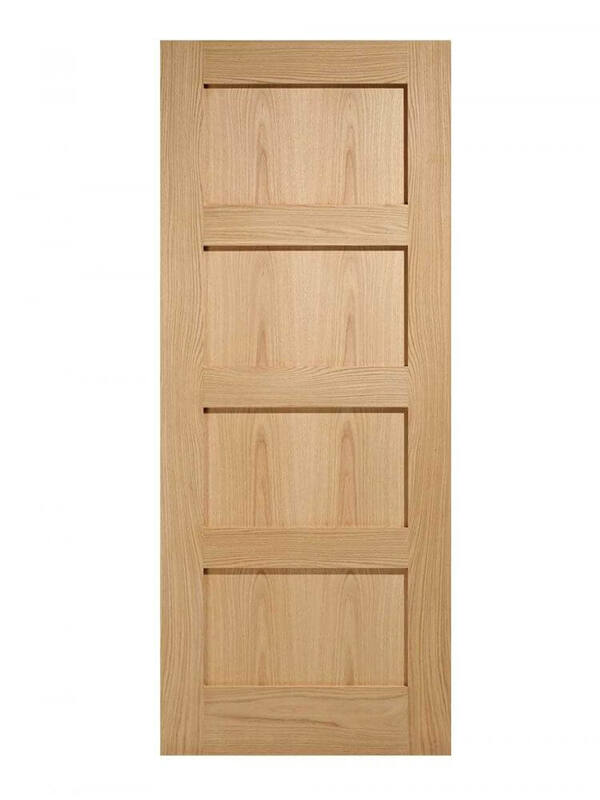 Simple yet stylish, this shaker styled four panel design will add a modern finish to any room. Four squared off panels without any moudings. 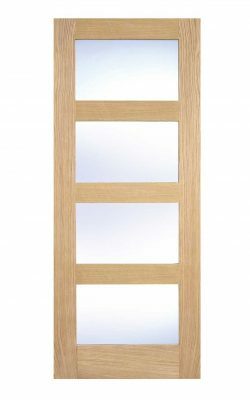 Available as a Fire Door (44mm) version and two different 4-light glazed variants.